Our new townhouse allows us to pay rent on a credit card!! None of the places we’ve lived so far has made that option available to us, and at our current place we actually have to mail paper checks, if you can believe it. But after we move in two weeks we’ll have the opportunity to charge an extra $870 per month! Why are we excited about this? Putting rent on a credit card seems like a terrible idea! Well, if you can’t afford your rent and/or don’t pay your credit cards off in full every month, it is a terrible idea. But our rent is very affordable – obviously we pay it every month with no issues – and we have a perfect track record in paying our credit cards in full, and in the month we spend the money rather than the month the bill is due. So for that part of things, putting the rent on a credit card is, to us, the same as paying with a check. So what are the advantages and disadvantages? The advantage is credit card rewards, and the disadvantage is transaction fees. The fees are well-defined by the property management company – 3.35% of the transaction. The credit card rewards are a bit more nebulous. For our 1% rewards base card, we would only generate $8.70 in rewards, so that isn’t worthwhile against $30 in fees. However, putting rent on a rewards credit card could enable us to reach minimum spend amounts to achieve signup bonuses. I’ve been learning a bit about credit card churning from Jacob and Holly, but one deterrent for us participating (aside from not knowing how to use miles!) is that we probably wouldn’t be able to meet some of the higher minimum spending requirements. In a typical (not using targeted savings much) month we only put four or five hundred dollars on our credit cards, so that’s not much progress toward a multi-thousand dollar minimum spend. I have been thinking that we would wait until we were about to book a trip or otherwise make some large expenditures before applying for our next rewards card with a big signup bonus. However, now that we can put rent on a credit card, those charges will go a long way toward helping us qualify for those lucrative signup bonuses, so perhaps we can consider a new card sooner. We will have to be really careful if we do use the rent toward signup bonuses not to make any mistakes. One mistake would be inaccurately predicting our spending and thinking we needed the rent charge toward the minimum spend when we didn’t, thus incurring more fees than absolutely necessary. Another mistake would be forgetting to switch our payment method from the credit card back to a paper check or whatever. We’re going to give the idea of putting our rent on a credit card really careful consideration before doing it. If we choose to incur any fees we’ll have to be absolutely sure that the rewards are worth it and totally on top of where the next payment is coming from. Have you or would you ever put your rent on a credit card? How far have you gone to get credit card rewards or signup bonuses? 36 Responses to "Putting Rent on a Credit Card: An Opportunity to Churn"
I am putting my rent on my credit card for the first time this month. The fees that are charged by the management are similar to what you have laid out and I get 1% on my card so I’m not getting paid to do it but it’s one more monthly expense I can automate through my card. My goal is to funnel all of my expenses through it and just write one check each month. The attraction of writing one check wouldn’t overwhelm eating the fees for me. We set up a check to be mailed from our bank to our current property management company every month and literally haven’t thought about it since that first month. It doesn’t get any easier IMO. I’ve never put rent on a credit card, but would definitely be open to it. The one thing I’d double check before doing so is making sure on the credit card’s end that the charge wouldn’t count as a cash advance. There seem to be weird rules where some purchases end up as cash advances, which has different financing (I believe interest starts accruing immediately, and usually additional fees). The idea is to prevent people from manipulating the system to get big bonuses. That’s a great point. I will have to check with any card we’re about to sign up for that they treat rent like any other charge. It definitely wouldn’t be worth it to get hit from both ends. I’ve never put rent on a credit card but I would definitely put my mortgage on one if they let me. (They won’t, I’ve tried!) I currently put my health insurance on a credit card, along with all of our additional spending. Why not? Thanks for the mention, Emily! Have you encountered any weird fees for certain expenses like Mrs. Pop mentioned? We own our home but I have never used a credit card when we would incur a fee for using it (taxes, tuition, beach house rental, etc.). In the past I have done many credit card rewards offers. I have met minimum spend requirements by charging charitable contributions and by buying gift cards that I would use for regular expenses later (grocery stores, Target, etc.). These offers came to us for many years but have not lately, I’m not sure if it is the improved economy or if the cc companies are on to us. I look forward to reading what you decide to do. To me it seems a bit more risky to buy gift cards to meet minimum spends, although I know that is a common strategy. I hope you didn’t become reliant on those bonuses now that they have dried up a bit! That’s something I’m conscious of as well. I think this would be great if you are trying to churn cards and need to spend more in order to reach a goal. I wish I could put my mortgage on a credit card! Yeah this is a pretty limited time opportunity as not many landlords allow it and we hope to have a mortgage in a few years! I didn’t know about this until now. Thanks for sharing! Although I think there are only a few landlords who say yes to this kind of arrangement. This is something worth considering though. I agree that probably only the bigger companies would offer it, and then only because they are passing on the cost to the renter. I doubt many individual owners or property management companies would want to fool with accepting credit cards! Our current on doesn’t even offer auto-withdrawals/e-checking, just paper checks. We put daycare costs on our credit card and it earns money for my son’s college fund. I probably wouldn’t do it with the fees. Those are too much and since I don’t have signup bonuses (I don’t churn cards), I don’t think I would charge the rent. Grayson @ Debt Roundup recently posted..Looking For A Free Business Checking Account? It never occurred to me that daycare would have a credit card option! I’m glad you can charge that without fees. That’s cool that you’re putting the rewards toward the college fund. I’m hesitant about charging gift cards, though I’m familiar with the strategy. We don’t have a good track record of using gift cards, even at stores we frequent. Do you have a system in place that prevents waste? Nope, I don’t really have a system in place, I just leave the gift card in my wallet and use it at the store. Yes there are times that the gift card collects a little dust, but I eventually get around to it. Oh and I forgot…there is Amazon Payments to meet spending. You can send money to people (much like paypal). Although I’ve heard that if you abuse it (sending too much back and forth…though there is a $1000 a month limit) they might close your account. Andrew@LivingRichCheaply recently posted..Should We Buy a Co-op? Aside from the transaction fee aspect of it, just the idea of using a credit card to pay for housing sounds great! For example, it could go a long way toward securing a free flight depending on the rent for a year. All for simply having the option of paying by card. Yeah, we definitely don’t have an overspending problem with regards to getting these rewards! Our budget keeps us in check. If we had that issue we would have been tempted long before now to sign up for more cards. Very interesting. I would love to be able to use a credit card, but not with those transaction fees. I haven’t gotten into the churning game, but I can definitely see how this would be a useful way to hit those bonuses. Good luck figuring it all out. Matt Becker recently posted..Where Should Buying a House Fit in Your Financial Priorities? Would you use a card if you had 5% reward and a lower fee? I remember there was a card last year that offered 5% on utilities but it doesn’t seem to be available any longer. I generally avoid using credit when it has a fee but I have one student loan (a Texas based student loan) that allows me to pay on credit without a fee so I take advantage monthly! That is a sweet deal! How much do you get from it in rewards? How much are you expecting to get with the signup bonuses? A 3.35% transaction fee on $870 every month adds up to $350 extra over the course of a year. If you can do as well as Andrew@LivingRichCheaply, it may be worth it. I personally wouldn’t do it. It is definitely a risk and will have to be planned very carefully. But even one card used over perhaps 3 months could give us $400 in rewards, which I think would be worth it. Plus there is still the 1% rewards on all the charges, so that reduces the fees you have to be offset. I’d do it, but I know many card may treat this as a cash advance. I would check with the card company first. Rent might be different than a mortgage. There are other (more complicated) work around to paying mortgage/rent with a credit card, but probably not worth it. Thanks for the heads-up. I will definitely check on this before applying for a card for which I’d need the rent to reach the minimum spend. I would totally do it if it did indeed count for points and the reward was more than the fee. There are some great bonuses right now, like on the Chase cards, but it’s hard to hit the limit without a big expense. This would be perfect. I agree and that’s what has been holding us back. We already have a couple Chase cards and I guess we’re looking at more! * Will it count as a cash advance. The last time my son looked into this the payment would have run as a cash advance. With most banks the cash advance transaction fee is pretty hefty! 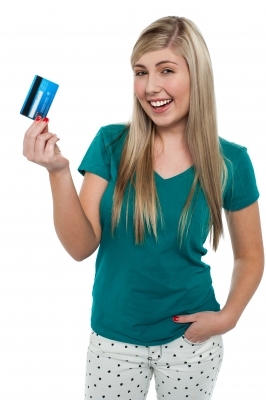 * Do you already have the habit of consistently paying off your credit card every month (or better, even more often?). Even one month of interest on this larger amount could negate the hoped-for benefits. My husband and I pay off our credit card every two weeks — I’d want to see a consistent pattern of complete payoffs for at least a year. * If you have to move to a different card to get the churn benefit, does it have an annual fee that would offset the gains? For example: a card I use for international travel has an $85 annual fee. In my case it pays for itself because it doesn’t assess foreign transaction fees. If I didn’t travel out of country I’d get a cheaper card. * Lastly — and it looks like this isn’t an issue for you but I feel obligated to mention it — do you already have a pattern of living on a budget and on less than you earn? I worry about people churning cards who haven’t established the “less than you make” habit…it opens the door to spending cash in the bank account that should have been held for the credit card. You have a good head on your shoulders — I’m sure you’ll make the right choice for you. Thanks for the warning on the cash advance. That is definitely something to check up on. We don’t yet have any cards that have an annual fee, but if we were to keep one that won’t waive the fee we would be very conservative in estimating whether it is worthwhile. Thanks for your suggestions! I totally agree that the credit card rewards game is only for people who pay their credit cards in full every month and are on a budget.